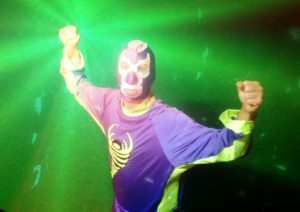 Weighing in at an F3 and hailing from Tornado Alley… The Tornado has Pro Wrestling Mid South fans swept up in the moment. He will probably never be the biggest or the strongest but has a lot of heart. While he may not do a measurable damage, he will always kick up a little dirt and maybe knock over a few lawn chairs.